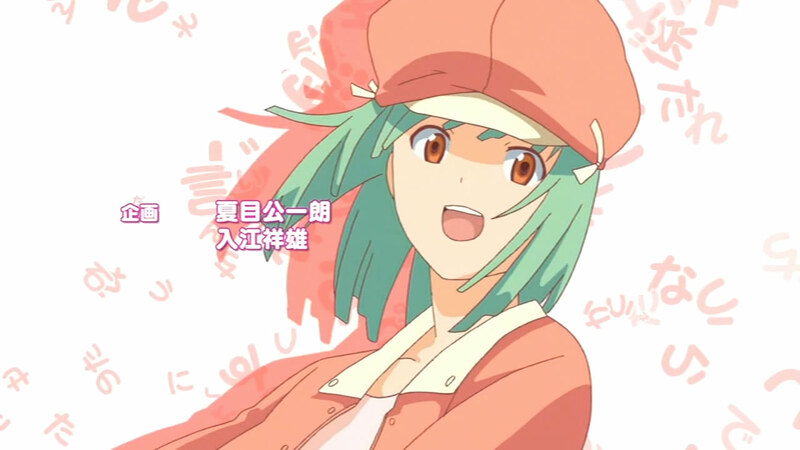 The song was cute and pretty catchy, featuring some very poppy rap for most of it. 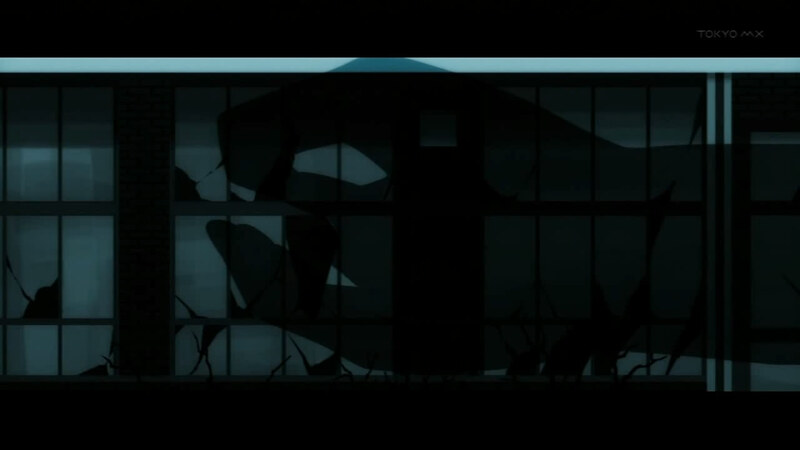 There was a part of the main chorus that sounded very reminiscent of the main theme in Staple Stable. 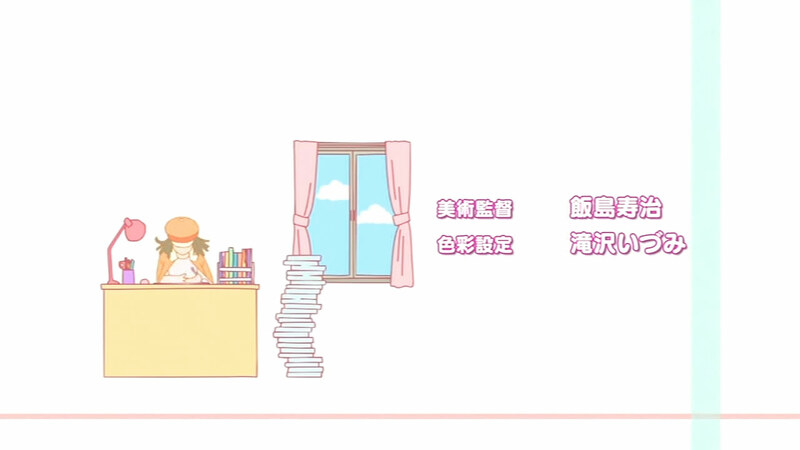 The OP animation featured Sengoku with a lot of very abstract backgrounds, similar to that of some other of SHAFT’s works, including Pani Poni Dash! and both Ef series. I’m thinking that with this one, they tried to go for the “OP of slice of life show starring Sengoku” feel. Before the OP, we are shown Koyomi talking with Oshino about Sengoku’s situation. I didn’t quite catch everything, but there was some love triangle issue with her at school, involving a friend and a boy who confessed to her. And Oshino confirms that whatever’s causing these scale marks on Sengoku is indeed a snake, wrapping around and constricting her. 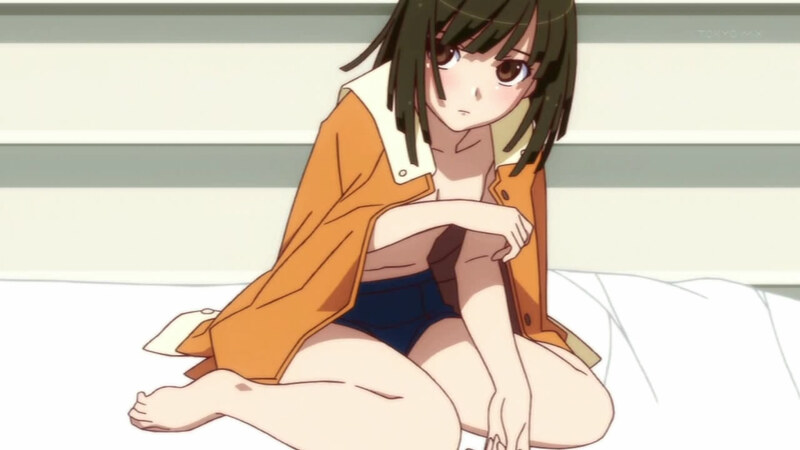 After the OP, Koyomi gets back home where Kanbaru and Sengoku (still in only bloomers, but with a jacket draped over her) are waiting. Long story short, they have to go back to the snake’s shrine and have Sengoku pray. 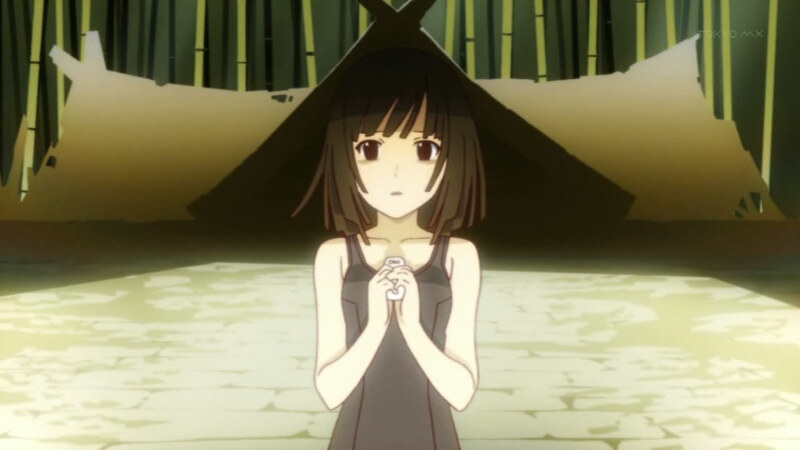 Koyomi tells Kanbaru in private that if it’s not done tonight, Sengoku’s life would really be put in danger. So they take the nighttime walk all the way back up to the shrine to try to get the snake off her, but of course, things don’t all go as planned. 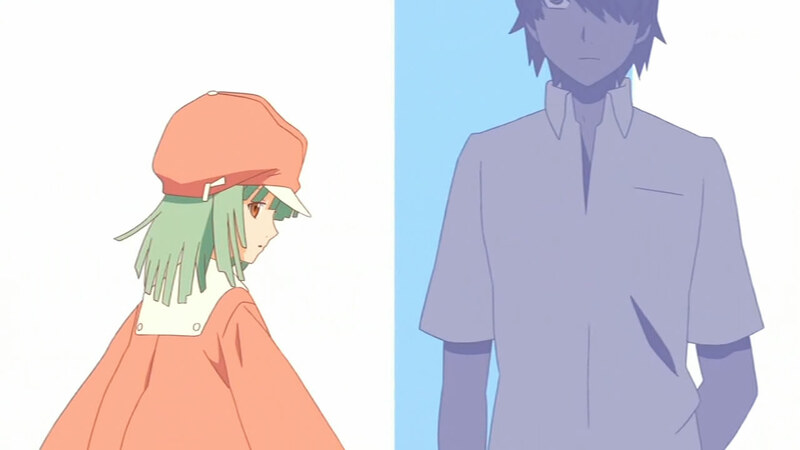 Bakemonogatari reamains a pretty difficult show to get a good grasp of. It keeps its perverted tongue fully in its cheek, showing Sengoku still half naked, then showing her in a school swimsuit because Kanbaru thought that it would appeal to Koyomi (it does). At the same time, the issues the characters have to deal with are presented in a genuine manner, without making light of them. This worked well in the first few heroines’ arcs. The subject matters, while rather contrived, were easy to take seriously. I’m not so sure about this one, though. I don’t feel like I have a good grasp on Sengoku’s character yet. Part of it may be blamed on the language barrier; once I see the English subs, maybe I’ll feel different. 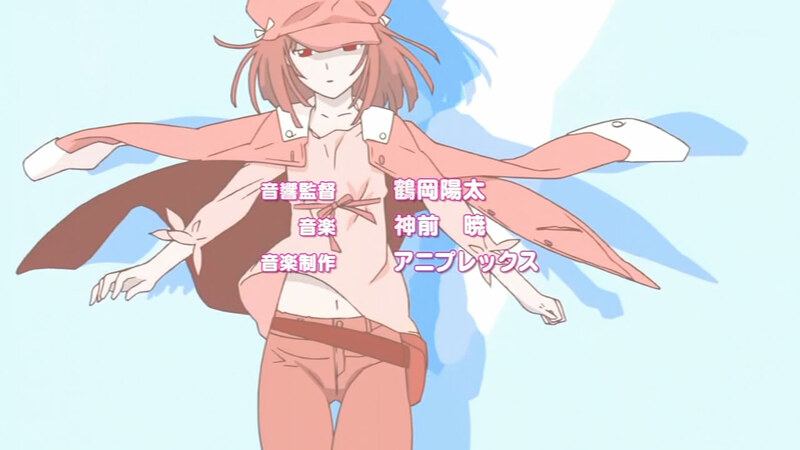 Interestingly, the preview for the next episode isn’t Nadeko Snake 3, but rather Tsubasa Cat 1. Of course, the only reason this is interesting is that this episode doesn’t provide closure to this story arc. To avoid spoilers, that’s as far as I’ll mention. I would like to see how this story ends, though, so I hope SHAFT does come back to it somehow. It’s also possible that the open thread at the end of this episode continues on to be the beginning of whatever Tsubasa Cat will be about.